My friend Kristin had a baby girl in August!! Her mom wanted to throw her a Sip ‘n See so all her friends could see just how cute and precious she is! Since Kristin’s shower turned out so well (well … I think so at least! ), her mom asked me to help out with the Sip ‘n See. Below are my ideas and you’ll see in the next post how it all came out! 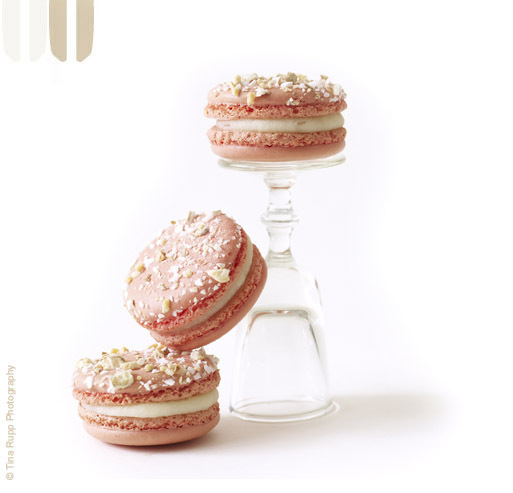 I thought it would be super cute to have pink and white macarons at the shower! They can be incredibly yummy (if you get them fresh and from the right place), they are easy to pick up and eat and aren’t messy! 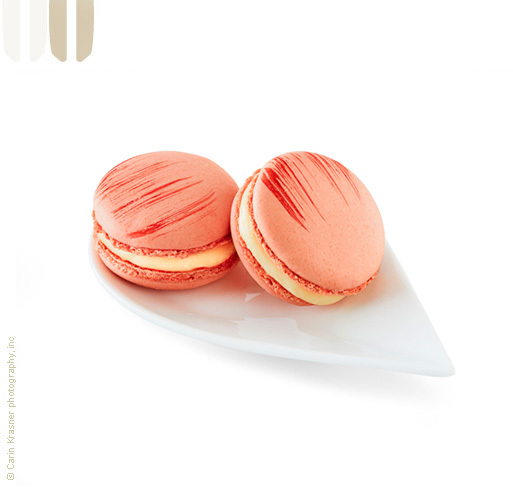 I found a great place in Beverly Hills, Lette, that has the most exquisite macarons! 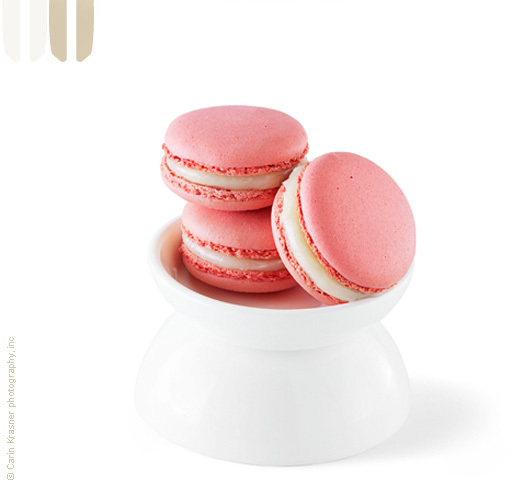 Not only are they absolutely beautiful, they are SO incredibly delicious!! I found these really cute elephant card holders and thought it would be really cute to have in front of the drinks, coffee (decaf, regular), milk (skim, cream), etc. 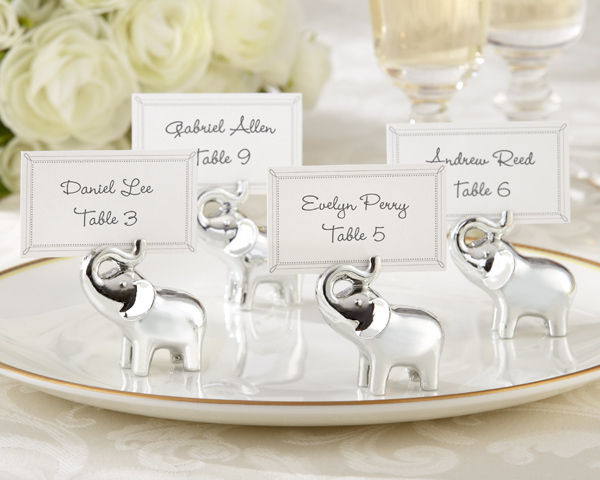 They’re cute and small, so won’t overpower a table … just give it a little extra, cute detail! 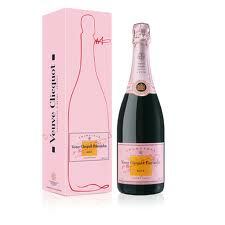 Since it was a baby girl, we had to have Pink Champagne!! 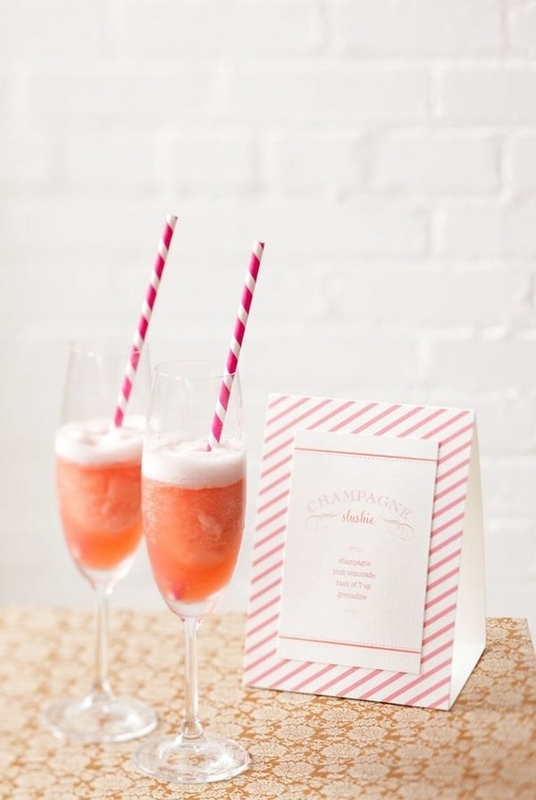 I thought it would be a really cute decoration and there’s so many great, fun cocktails to make with Pink Champagne. Check back soon to see how the shower came together and turned out!